Based on customers request, a few new features have been added to Agile Product review module. - Request review emails - send email to customers who placed order x days ago, the email will be send out automatically. 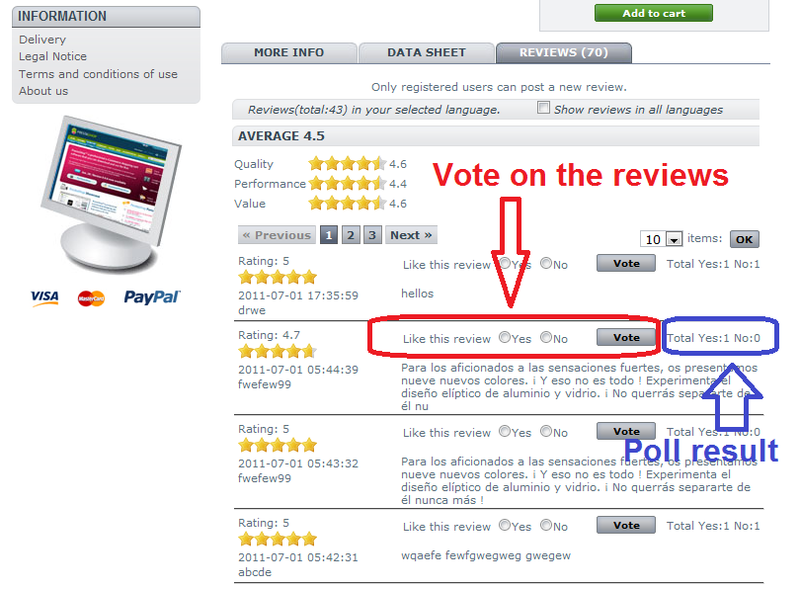 The "Voting on review" new feature allows customer/end users to vote on the reviews left by others customer to express his/her opinion on the reviews. 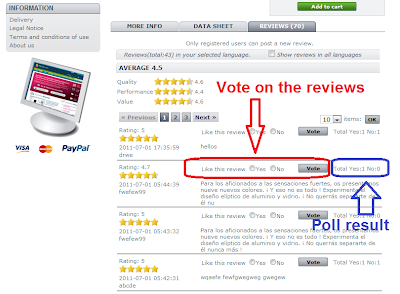 For example, the customer can vote the review he is reading as "Like" it or "Dislike it", or "Helpful" or "Not helpful". Also the poll/voting result will be displayed on the top of each review, this will be very good reference information for other customer. The module will send email to customer who made order x days ago. Ask customer to write a review/rating on the products that he/she purchased. The email will automatically include the links the product pages so that customer can leave reviews. It is configurable on how many days the review request email should be sent after the date the order is received. What is Agile product review? Agile product review is one of best and most popular product review modules with many powerful and useful features. Such as Latest review on home page, language sensitive reviews displaying, different level of review criterion settings and and many more. It has been installed on many PrestaShops. If you would like to experience live demo of Agile product review module, you can visit here.